In the digital era that increasingly has no flag colors, it turns out the best web hosting presence to participate enliven the traffic arena of information in the digital world. Information about the size of the ant's body is so easy to fly and move between regions to other regions, between one country to another, and even become viral. Of course we agree, it happens because too strong the influence of technology in spreading information across borders through a website. Widespread and so widespread use of the website as a base and distribution center of information throughout the corners and corners of the world, it has brought fresh air for the perpetrators of digital business. It turns out that behind it, there is a gap of business space waiting to be touched by digital business actors. Moments like this of course very dear to pass away, and seems quite keen exploited by the perpetrators of digital business by opening lapak rental business web hosting best and quality. What exactly is web hosting it ? Web hosting is actually a type of business that rents a place to store data online, exactly the same as a warehouse. You use the warehouse to accommodate the goods, then must pay it. Online data storage is called a lot of people with the term server, which is a computer equipment that consists of several hardware that one of the hard drive as data storage. So when you create a website then in truth that should be asked to ourselves, where the website data that must be saved? For those who have abundant money, then the first option you can choose, but for those who fall into the category of dhuafa with makeshift capital then inevitably have to take the second option. Okay, I'll go over the two options one by one, and anything that should be seen and considered carefully. About the price of the three servers were different, from the cheapest to the most expensive category are all available in the market with a price range between Rp.10.000.000 to Rp. 85,000,000. What is the server task ? Server responsibilities other than as a place to store data, also serves all online client requests are connected, therefore the technical specifications of the server is very decisive. Why does technical specification determine? The answer to this big question is simple, because the server functions are used for various purposes, such as serving email only, storing and transferring data or program execution. Of course, because the function is different, then the automatic needs of hardware and software will be different. Well for those who intend to buy their own server for personal use, then the required server specification is quite the class Rp.10.000.000 like server tower intel red stone E31231S-S1. The second option is relatively easier and easier to execute. Just prepare money and look for a company that willing to rent server for you to use to store data. If you search through google search engine, there are many companies that provide the best and high quality web hosting services. The offer of tariff rents also compete super tight cheap, even almost unreasonable. But what is the offer of a cheap price, complete with support facilities tehnical support, proven? wait a minute. We must be good at choosing and sorting out which web hosting provider is the best and high quality and 100% trustworthy. Before the heavy disappointed in the future, there are some signs that it is the best and high quality web hosting. Generally this facility has always been part of the promotion of web hosting owners, by including some contact number admin or an email address. Let's test, is it true that this facility works properly, lest a call but never lifted, even with our emails are never replied at all. The problem of cheap domain prices pretty much hunted web hosting tenants, and it seems quite fierce price fight among web hosting owners the best ik. Average monthly rental prices in bandrol below Rp 10,000. But the funny thing is, there are still some who survive above the number Rp.10.000 in the middle of the competition price of web hosting rental. However, I was immediately shocked as well, it turns out there are web hosting that dare to offer free domain. I'm a little suspicious, this is a trap, the article free domain is not necessarily our own I think, for this section you can prove yourself by contacting the web hosting service provider directly. Ask also, the domain ownership status, whether it be ours or not. The problem is, it will appear when we intend to move to another web hosting. If the domain is not ours then it's easy for the web hosting owner to close access to our website. That means, in the next web hosting you have to work from scratch again. What are the signs that our own domain? The sign, we will be given domain manager by the owner of web hosting where we are free as they arrange and manage the domain. 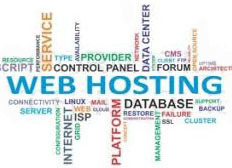 If you feel not smart enough to create a website, then just use the web hosting service facility on this one. This facility is very good if you take, considering the out there services to make a website pegged range Rp.300.000 to Rp. 500,000. It's a tremendous savings, you hire a web hosting and at the same time ask them to create your own website. The offer of fast performance to prospective clients I think is not kidding and origin jump from the mouth of the web hosting owner. The reason is, it's a bet of self-esteem and trust from the client. If at the back of the day is not proven that their server has a fast performance, the client may leave and never come back again. There is a sense of doubt usually when the first time want to use rental services web hosting. The fear of what they are promoting on their website, it is not proven that we end up feeling mocked. I admit, this money back guarantee service is an intelligent solution that will answer the hesitation of the prospective client earlier. If they lie, just capture the proof of money transfer and uploaded to social media. Is a very disturbing thing at all times when we want to make an article post on a website. Many web hosting likes to launch their promotional ad attacks by embedding in our domain. The lesson, find the best web hosting that is completely free advertising ask when you want to rent a web hosting, whether their web hosting is free advertising or not. Bandwidth is the amount of current data that the server can transport when a request comes in. The greater the bandwidth of a web server hosting will be the better the speed of access a website. People tend not like to linger waiting for a website whose performance like a snail, long open when we need an information. Well, for those of you who do not want the performance of its website like this, then look for web hosting that offers big bandwidth. Bandwidth should be the size above 100 GB so that when there is a surge in our website traffic, then the server is always able to serve it well and stable. Also important as the bandwidth was about data storage space. Find the best web hosting that offers our website file space that is quite loose, approximately 200 GB. Remember, when managing the website, we will often use image files, photos, video with a large size. Payment service is a service that we usually provide in an online business website. Well, ask when renting web hosting whether their server supports payment gateway like, visa, master card, paypal, BCA, independent bank, BRI, bank mega, BNI 46. Very ironic, such as you intend to build an online business website but do not include payment gateway service is, then where will the transaction occur? Later, the digital world much enlivened by various offers of best and high quality web hosting on the online business players to want to use the facilities they provide.